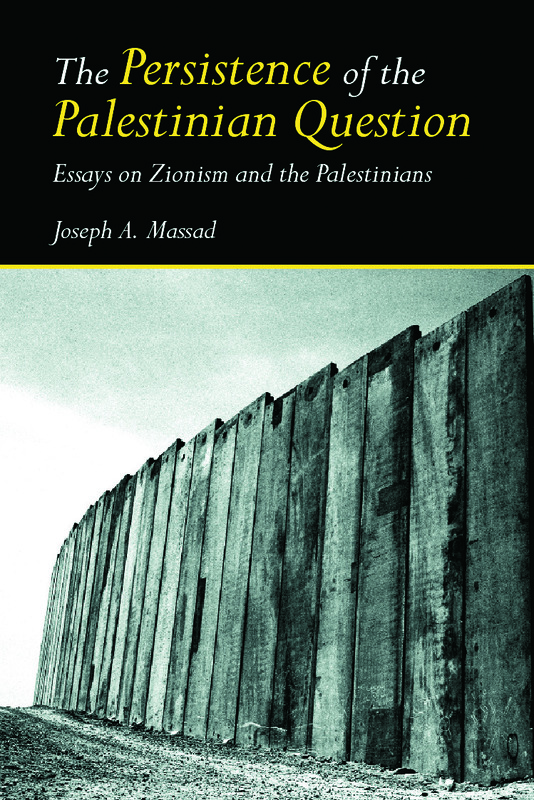 In this erudite and groundbreaking series of essays, renowned author Joseph Massad asks and answers key questions, such as: What has been the main achievement of the Zionist movement? What accounts for the failure of the Palestinian National Movement to win its struggle against Israel? What do anti-Semitism, colonialism and racism have to do with the Palestinian/Israeli 'conflict'? Joseph Massad offers a radical departure from mainstream analysis in order to expose the causes for the persistence of the 'Palestinian Question'. He proposes that it is not in de-linking the Palestinian Question from the Jewish Question that a resolution can be found, but by linking them as one and the same question. All other proposed solutions, the author argues, are bound to fail. Deeply researched and documented, this book analyzes the failure of the 'peace process' and proposes that a solution to the Palestinian Question will not be found unless settler-colonialism, racism, and anti-Semitism are abandoned as the ideological framework for a resolution. Individual essays further explore the struggle over Jewish identity in Israel and the struggle among Palestinians over what constitutes the Palestinian Question today. Palestinians and Jewish history: Recognition or submission?